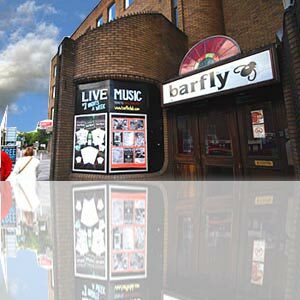 Cardiff Barfly is one of the leading gig spot in UK and was opened in the city on April 2001. However from the early years of 1996, it was serving the Camden Community with a small pub on the outskirts of the city. The club had encouraged more upcoming bands in the community, which brought them an endless line of discerning music fans. Stereophonics have played several times in their early formative years, as did the likes of Death in Vegas, Feeder, Coldplay, Muse and Doves. With success at Camden, Barfly opened its new venue at Cardiff with the same objective and idea - to encourage local talent mixed with more established touring bands. With new and eager audience, Cardiff barfly has established itself as one of the best gigs across Wales. Today Barfly has five venues across UK including Cardiff, Glasgow, Liverpool, London and Fibbers. Cardiff barfly has been a host to many upcoming artists and some of those who have played at barfly include The Strokes, The Vines, Starsailor, Wheatus, Elbow, The Cooper Temple Clause and The Electric Soft Parade. Barfly had been the main venue for the filming of the still-talked-about Barfly Sessions TV series, which included the likes of Coldplay, Muse, JJ72 and Badly Drawn Boy.